By the end I've worked quite a few of the boys/girls from WRTC. (have to count them yet). They all called while I was running in the last six hours I was on and their signals were no better than S5 on the average. Several asked me to QSY to 80 and 40 m for QSO/Multiplier. I was only too happy to do so. 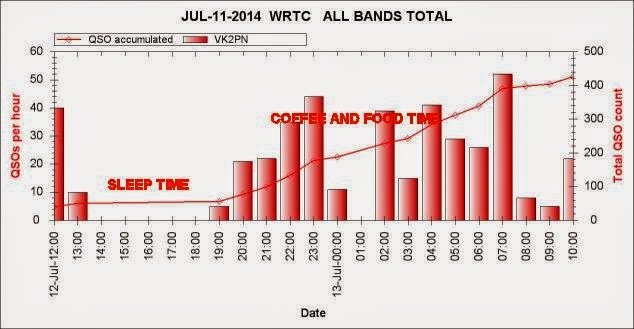 It was nice to observe, that the CW was most preferred mode. 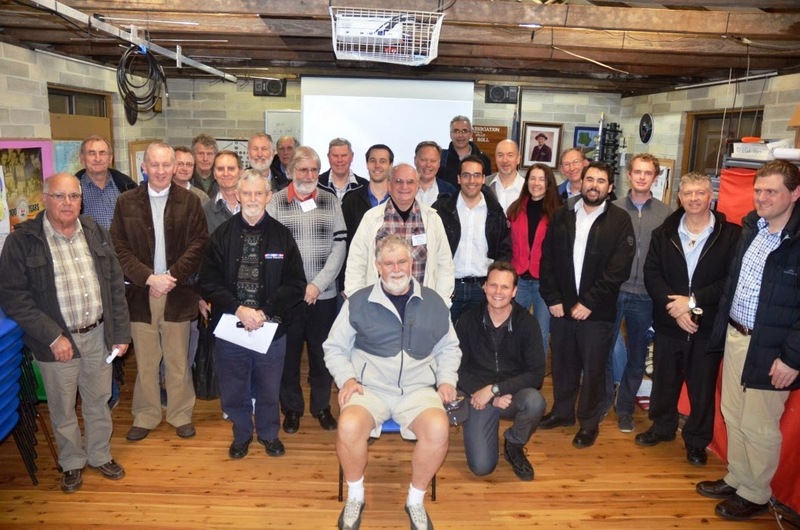 Manly Warringah Radio Society had AGM. Last night (9/7/14) our radio club had its Annual General Meeting. It is good that the club is thriving and very much alive. Above all the number of young members is high. The "good looking lot" is posing for a groupie. Look us up on: http://www.mwrs.org.au/. I've posted more photos on yahoo groups.